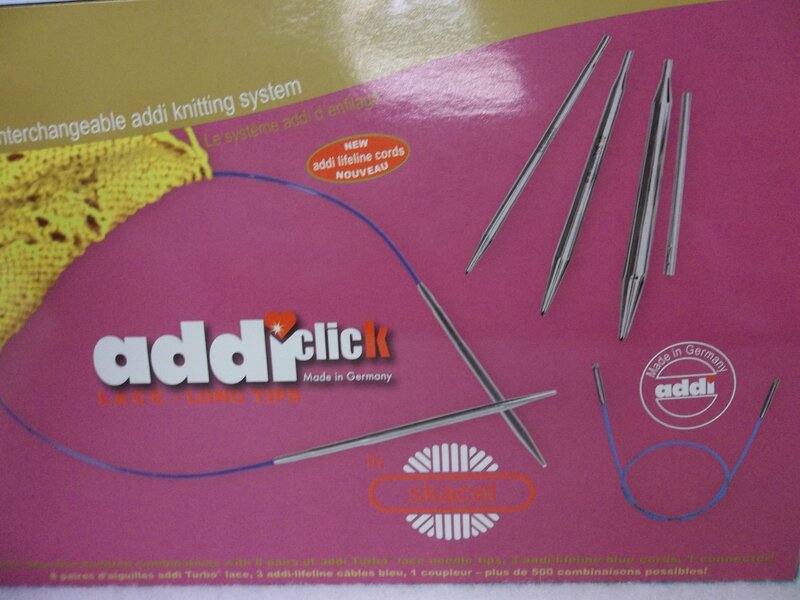 Addi Lace Click Points for use with the Addi Click Interchangeable Needle System. These points "lock" into the Addi Click cables. These 5" long points with tapered tips are excellent for knitting any project, but especially for lace knitting.